I use Excel data that has more than 20 definable events in it. I get it segregated properly but when I apply a color palette Tableau assigns the Tableau 20 color scheme to it. Which leads to repeated colors for different events. How can I get Tableau to provide a different color for each event? A grade color scale won't work either. I have a total of 52 different events that I need separate colors for. 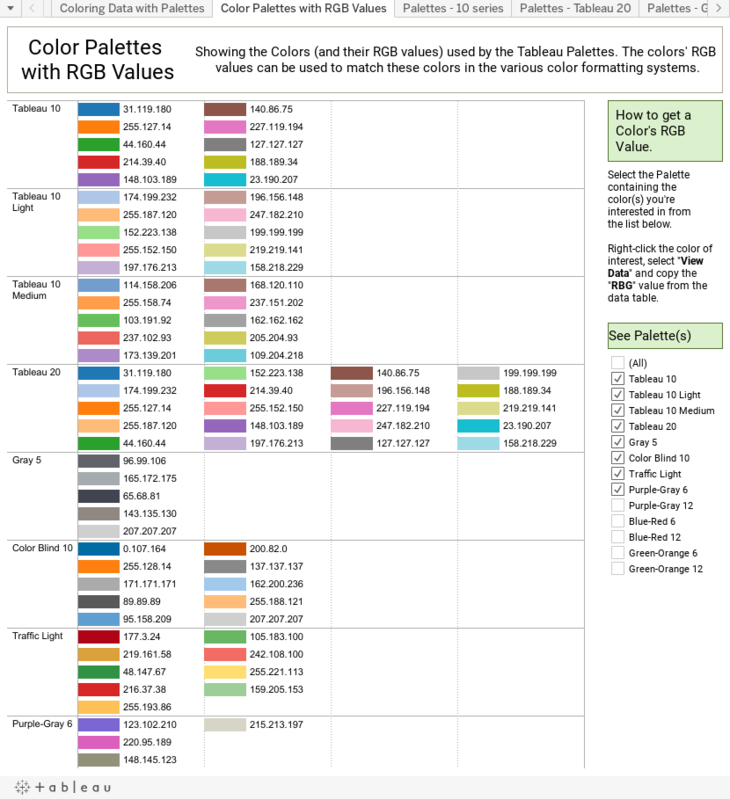 it contains an enumeration of all of the colors Tableau uses in its palettes, at least in v7.